Department of Ophthalmology facilities include the main Eye Clinic located in the Pomerantz Family Pavilion and several outpatient clinic and satellite locations. The main location features over 56,000 square feet of dedicated space for patient care and clinical research which includes a diagnostic imaging suite, minor procedure rooms, auditorium and meeting space, ophthalmology library, eyewear dispensary, and more. Ambulatory surgical suites are located in the same pavilion and operating rooms are located in the adjacent main hospital. 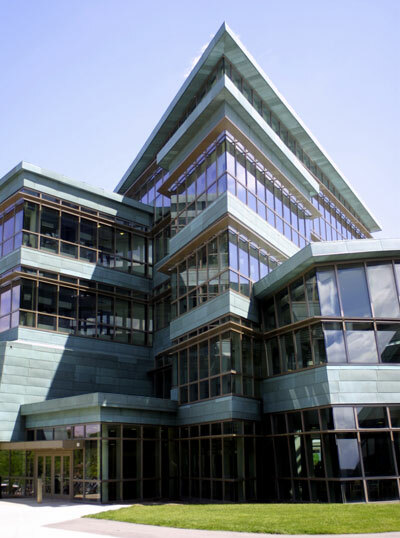 The Pomerantz Family Pavilion also houses the Clinical Cancer Center and several ambulatory care clinics including Family Medicine, Women's Health, and Otolaryngology. Parking is available in several parking ramps around the hospital facility with Parking Ramp 4 offering the closest parking to the Eye Institute. A valet parking service is conveniently offered outside the Eye Clinic and main entrance to the Pomerantz Family Pavilion. Ophthalmology clinic areas and main reception are adjacent to the hospital information and patient financial services desks on the main floor (Level 1). Upon check-in at the main reception desk, patients are directed to subspecialty waiting areas that are labeled alphabetically. There are over sixty exam rooms including eight specially designed rooms for pediatric patients. Faculty, administrative and most support staff offices are also on Level 1 adjacent to the clinic area. A full-service eyewear dispensary is located on Level 2 in the Pomerantz Family Pavilion. UI Optical provides a large variety of eyewear, sunglasses, safety glasses, and other accessories. Eye care is also provided in several other clinic and satellite locations. 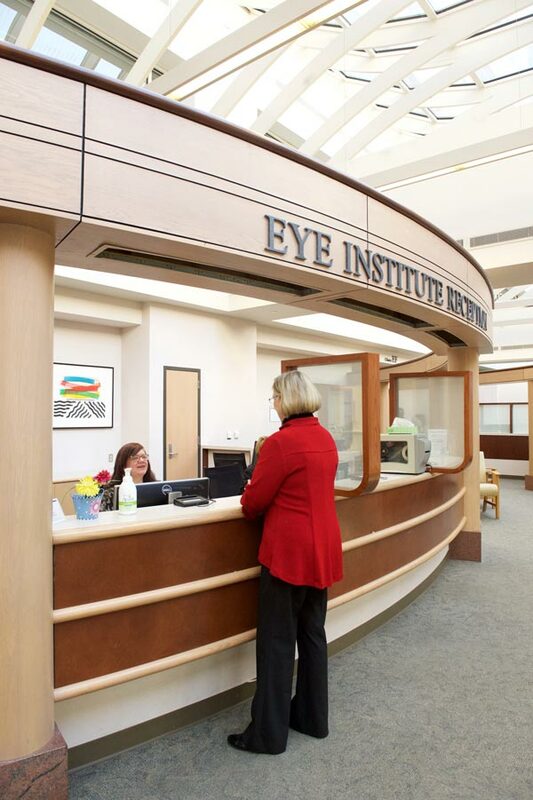 At the UI Health Care – Iowa River Landing facility in Coralville there is an Eye Clinic and UI Optical eyewear dispensary located on Level 2. This facility offers primary eye care and several subspecialty services. Additionally, eye care is provided at satellite clinic locations in Dubuque and Clinton. The University of Iowa is also home to the University of Iowa Institute for Vision Research which is directed by Edwin M. Stone, MD, PhD. This interdisciplinary institute consists of nearly thirty faculty members from eight departments and four colleges across the campus. It spans approximately 40,000 square feet of space and is primarily located in the Medical Education and Research Facility building and the Health Sciences campus. Faculty, researchers and staff members are dedicated to research focused on developing treatments for vision loss and cures for blinding eye diseases. The F.C. Blodi Eye Pathology Laboratory occupies approximately 1,350 square feet in the contiguous Medical Research Center. The lab is equipped with up-to-date histology and computer equipment and serves as a national reference center. Also affiliated with the department is the Iowa Lions Eye Bank which was established in 1955. The Iowa Lions Eye Bank provides corneal tissue for transplantation and research. Housed in the UI Research Park, the Eye Bank has long been regarded as a leader in human ocular tissue processing and distribution.